Jewish Federation of Greater Hartford and its umbrella organization, Jewish Federations of North America, offer a variety of opportunities to explore the vibrancy of Jewish life around the world. Fifteen members of our Jewish community participated in our Community Mission to Israel in October-November 2017. We traveled from the Golan Heights to Sderot on the Israel/Gaza border, and from the Mediterranean Sea in Tel Aviv to the Jezreel Valley, where we visited Greater Hartford's sister region, Afula-Gilboa. And of course we celebrated Shabbat in the Holy City of Jerusalem, climbed Masada and swam in the Dead Sea. Our missions to Israel are magical - we hope you will join us on the next one! Other destinations have included the Czech Republic and Poland. To learn more about our Community Missions, contact Rachel Berezin. Heart to Heart is an annual, five-day mission to Israel organized by Jewish Federations of North America. Heart to Heart is a journey that will fill your soul, open your mind and renew your spirit. Find meaning in your Jewish community through an incredible experience that will change your life! The 2018 Heart to Heart Mission took place February 4 through 8, 2018, and was led by our very own Judy Schlossberg. To learn more about Heart to Heart Missions, contact Meredith Chandler. Jewish Federation of Greater Hartford held its second Men's Mission to Israel on January 11 through 20, 2017. Twenty local men participated, including three groups of fathers and sons. They had an amazing time - you can check out the photos here! To learn more about our Men's Missions, contact Howard Sovronsky. The Joshua Society recognizes individuals and households who contribute $10,000 or more to the Annual Campaign. Jewish Federation of North America led a Joshua Society Mission to Cuba in January 2018. It explored Cuba’s rich Jewish history and examined how the recent restoration of diplomatic relations, travel and trade with the U.S. affects life in Cuba today. Participants met Cuban Jewish leaders who are working to preserve their communities, toured Old Havana, participated in Shabbat services and visited Finca Vigia, Ernest Hemingway's beloved Cuban home. To learn more about Joshua Society Missions and other Joshua Society activities, contact Rachel Berezin. The King David Society recognizes individuals and households who contribute $25,000 or more to the Annual Campaign. 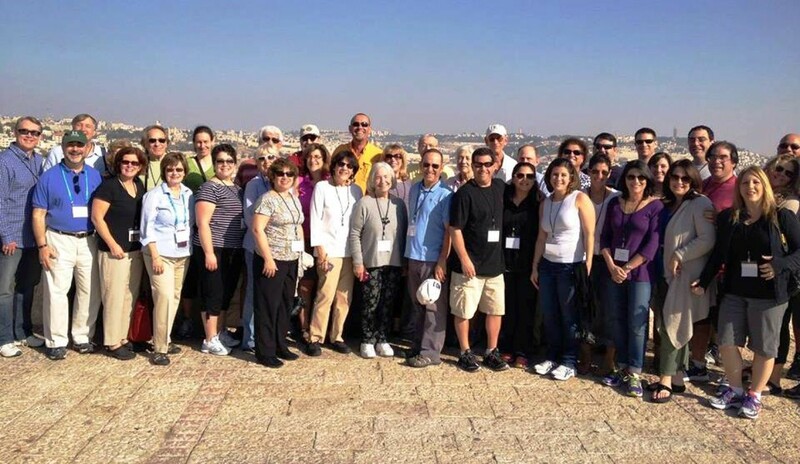 Jewish Federations of North America organizes missions to unique Jewish destinations around the world for King David Society members. Recent missions have explored Jewish Morocco and Argentina. To learn more, contact Rachel Berezin.